The traditional leaf table is altered and shifted to allow sculptural form to enter. 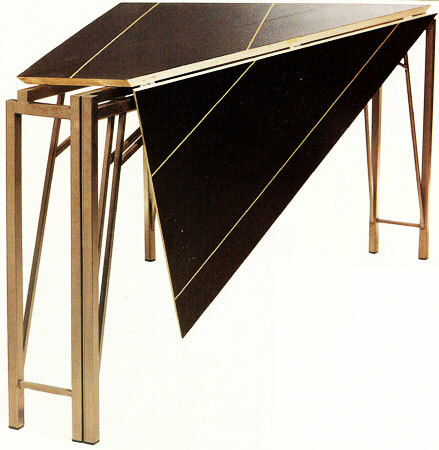 The table, in its passive and closed position, functions as expressive form. In the half open and full open positions, the table can accommodate three to six people. By shifting the frame, it allows the table to have an versatile impact on an architectural space.